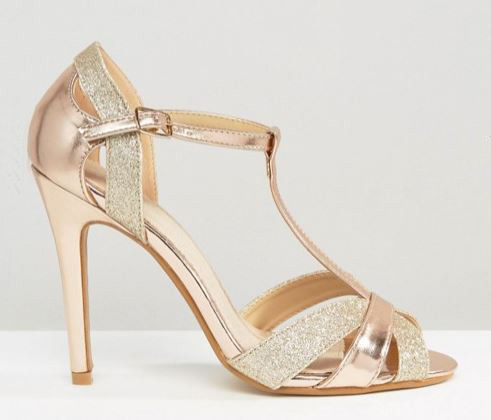 ASOS describe these shoes as ‘bridal heels’, but although they’re definitely shoes for a (very) special occasion, I actually don’t really see them as specifically bridal – I think they could work for anyone with a taste for a whole lot of sparkle on their shoes! 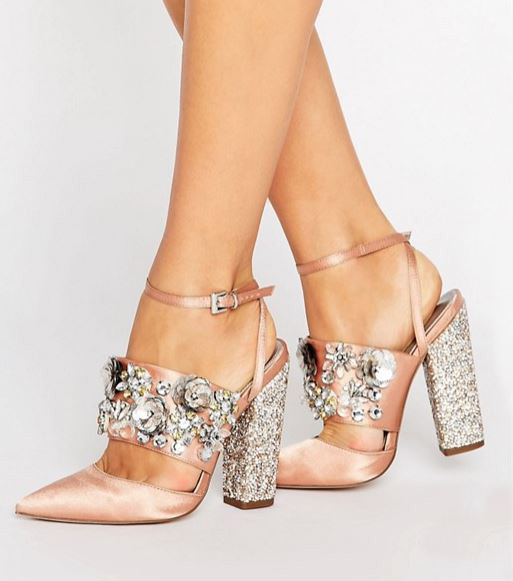 These have a very vintage-inspired feel to them, and I really like the combination of rose gold leather (or faux-leather, rather) and yellow gold glitter. Because who says you shouldn’t mix your metallics, right? I have a pair of peep toe flats from Dorothy Perkins, which I wore to death last spring and summer. Although they’re holding up pretty well, I’ve been keeping an eye out for a replacement pair, and so far these are the closest I’ve found to what I’m looking for. Not sure that pale satin upper would last long in a UK summer, mind you! 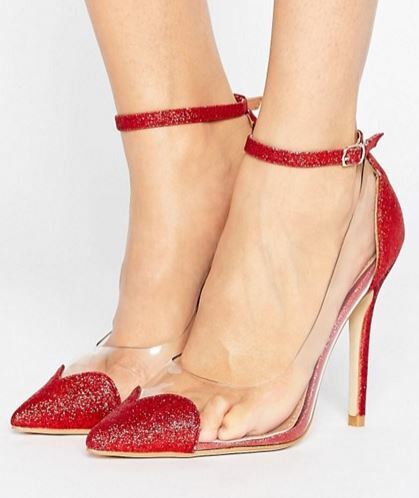 Perspex shoes are REALLY not my thing – no matter how much I want to like them, all I ever see is TOES – but there’s no denying that these ones are fun, and a little bit whimsical.